Instilled with the spirit of our Liberation War, ‘Joy Bangla Concert’ is being arranged for the fifth time this year on March 7 at Army Stadium in the capital. 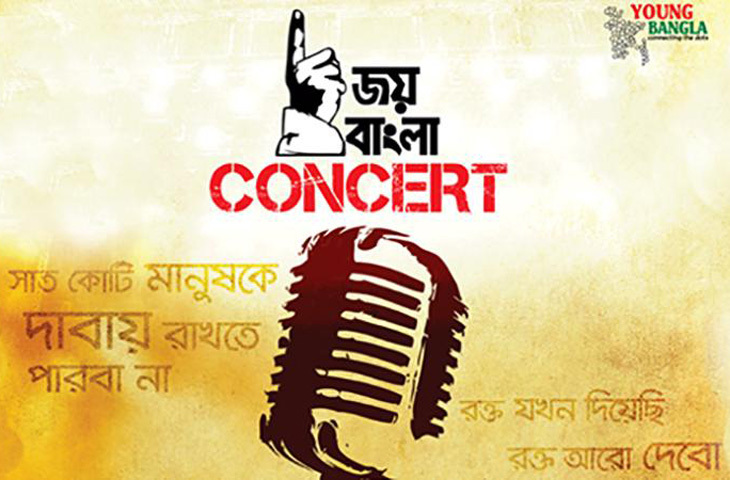 Centre of Research and Information (CRI) organization ‘Young Bangla’ is going to arrange the concert. The official registration for the concert has begun on Friday. The registration can be done on the official website of the Young Bangla (https://youngbangla.org/). You can register with national ID card, passport or birth registration certificate, mobile number, and e-mail address. Like every time, the country’s 8 popular bands will perform. At the same time, Bangabandhu’s historic 7th March speech and graphical representation of Liberation War will be displayed. The bands to be performed in the concert are- Bay of Bengal, Artcell, Nemesis, Shunno, Arbovirus, Chirkut, Lalon, and Cryptic Fate. In the concert, each band will also sing songs of the Swadhin Bangla Betar Kendra as per their own songs every year. Yong Bangla concert has been commemorating Bangabandhu’s historic speech from March 7, 2015.